Already, there are those writing that Zimmermann took a “sweetheart” deal to get to a team in the midwest. The Nats reportedly offered Zimmermann a very similar deal before last season to the one he’s agreed to with the Tigers now. If it wasn’t obvious to everyone before now, it should be clear: Jordan Zimmermann was not only going to test the free agent waters, but in fact leave Washington, at the very earliest possibility. Zimmermann should have been one of the most highly-sought pitching free agents this winter. But he, and his agent, signed what will surely prove to be a below-market value deal (and probably ridiculed by the players’ association) before the winter meetings simply to get Zimmermann into a city that has short, direct non-stop flights back to his Wisconsin home. I certainly thought that city was going to be Chicago, or Milwaukee, which would have been driving distance to his hometown of Auburndale, Wisconsin, and in the National League where he had proven so valuable. And the fact that it’s Detroit, with a protected first round pick, isn’t ideal [Nats will get a second round pick in compensation instead of the Tigers’ first]. Zimmermann’s stuff will play in the A.L., but he’ll also miss getting to face a light-hitting middle infielder and pitcher several times a night. But at least the Nats don’t have to worry about facing Zimmermann in the first round of the playoffs for the foreseeable future. 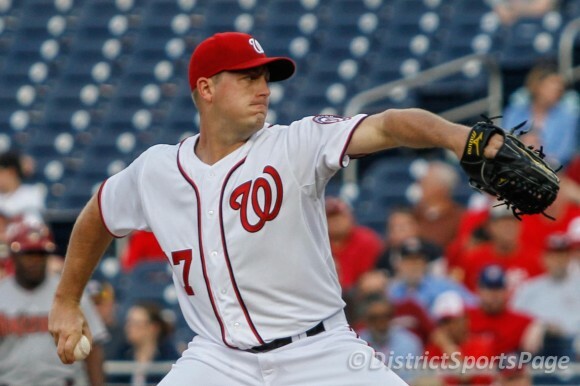 As good (and reliable) as he was for the Nats, the fact of the matter (not opinion) is that Zimmermann simply wanted out of D.C., despite his best attempts to indicate otherwise in his parting remarks. If this sounds like bitterness, it’s not, at least not directed toward Zimmermann. As veteran, especially as a pitcher, he’s got the resume to dictate where he wants to play. Good for him. If he’s willing to settle for less money to be in a situation that’s preferable to the one he was in, more power to him. But if a veteran player, one that has only known this organization, is willing to walk away for the same length and amount of contract, something has to be up, right? Maybe this is a wake-up call to the organization — and its fan base. If we read the tea leaves, we can paint a picture that isn’t as rosy as we’re being led to believe. Maybe D.C. isn’t as big a destination for players as the organization and some in media want to portray it. It’s no secret the Nats have put trade feelers out about Stephen Strasburg, who will be able to test the market soon enough in his own right. And Bryce Harper is right behind him. The Nats made market offers to Ian Desmond and Zimmermann, only to see them walk, along with Denard Span. Strasburg, Harper, Anthony Rendon could all follow. Is it possible that Ryan Zimmerman outlasts them all?